[SatNews] O3b Networks has selected AvL Technologies to design and build the Transportable Terminal Antenna System for use with O3b’s Medium Earth Orbit (MEO) Satellite Network. 1278FD Mobile VSAT Fly&Drive Antenna. The O3b network is unique in that its use of multiple satellites in MEO and Ka-band frequencies will allow for extremely wideband digital traffic with minimal latency, effectively doing away with the delay inherent in traditional satellite communications. The AvL Transportable Terminal Antenna System will enable users to realize the benefits of this technology with the ability to move and rapidly deploy the network’s capabilities to meet changing requirements and evolving needs. 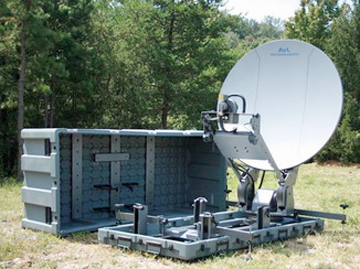 The Transportable Terminal Antenna System is designed to be transported in durable transit cases and to be set up and on-the-air within two hours. The 0.85m transportable terminal will be shown in AVL’s booth at Satellite 2015. “These high performance transportable antennas are designed to acquire and track the O3b satellites as they move across the orbital arc. 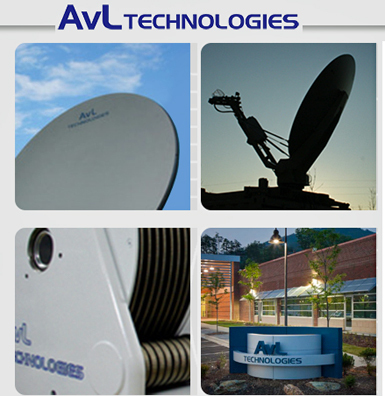 AvL Technologies was selected by O3b because of the high quality of our antennas and our engineering expertise to design and manufacture antennas that can work in tandem to accurately follow the satellites” said Mike Proffitt, President of AvL Technologies.